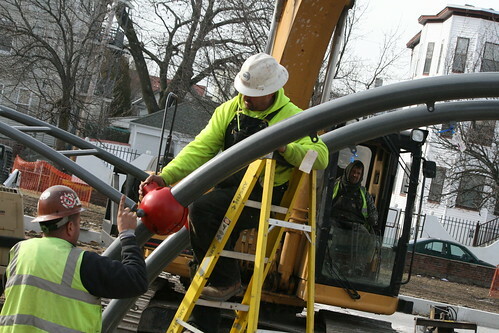 Work is ongoing this winter with the playground installation at Cronin Park. The play equipment work should continue for another week and then the contractor, Quirk Construction, will proceed with construction of the garden beds for the community garden area. We look forward to having the park complete by summer for kids' playing and for gardening!